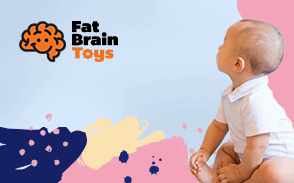 Let’s find the world’s best toys & gifts for your child! Best Toys from your brands! Follow the evolution of your baby week by week! Worldwide resource built by parents, for parents. Our mission is simple: to help mums and dads choose not only the best, but the most suitable and safe products for their children’s learning and development. Our team of researchers, with a passion for all things fun, work round the clock to find the most popular and leading kids products from hundreds of manufacturers. Searching for the best toys and kid’s products can be a tedious task. From online stores to brick and mortar shops, every parent knows the frustration of finding that perfect product for their child. Each and every item recommended by our team has gone through a number of different quality checks including reputation of the manufacturer, customer feedback from other user experiences as well as factoring in the key developmental appropriateness for your child’s needs. We have done the hard work, so you don’t have to. Our reviews and insights showcase the top toys from brands such as Melissa & Doug, Fisher-Price, Step2, Lego, Hasbro, Mattel and much more! Being a parent can be stressful at times, so let us help take the burden off your shoulders with the only site you will ever need when it comes to well informed and safely guided purchases for your family.